Have you ever wanted something so much but refuse to get because of the seemingly "insane" price tag? That's exactly what I felt about buying a Beauty Blender. Despite all the praises I hear about this much sought after sponge, I still can't bring myself to shell out a thousand pesos for it. I mean, what can an egg shaped sponge do that a regular one can't? Although the Beauty Blender hype has somehow reached its plateau and countless affordable dupes have emerged, the urge to satisfy my curiosity about this much talked about beauty tool still remains. 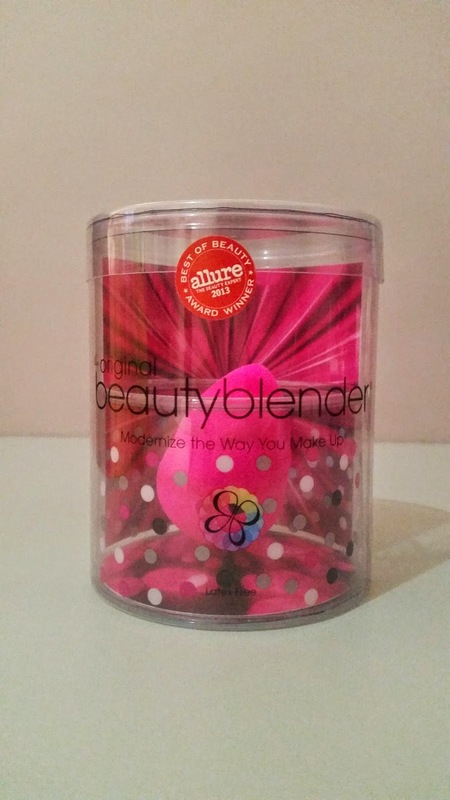 So when asked what I wanted to get for our annual Kris Kringle last December 2014, I opted for a Beauty Blender. 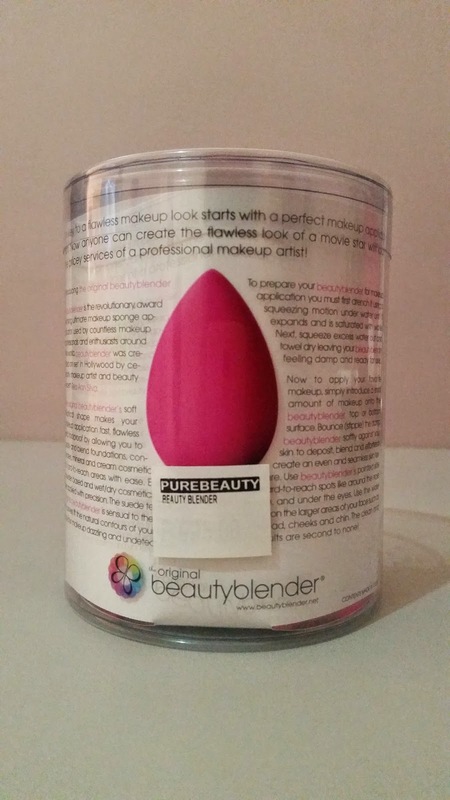 It came in a hard cylindrical plastic container with some sort of a holder (more like a pedestal) to keep the Beauty Blender in place. This one in particular was bought from Pure Beauty Trinoma and it's a few pesos shy of a thousand. 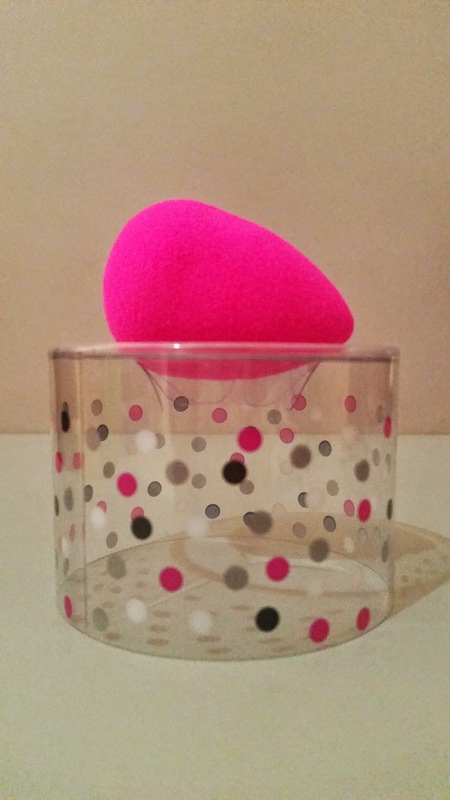 See how neat the Beauty Blender looks resting on its cute polka dot studded stand? I have to say that Beauty Blender did well in choosing the color pink for its original sponge not because I love everything pink but because it gives that strong feminine vibe. I noticed a bit of bleeding on first wash but nothing major since the color didn't come off entirely and subsequent washes were all clear. I initially used this straight from the container due to sheer excitement. I know, I should've washed it first but I didn't want to wait for it to dry. As a result, I didn't get much out of this tool. It was like using a regular sponge and applying BB Cream with my fingers was even better. Next day, I washed this under running water and squeezed out the excess moisture. I love how it expanded to twice its size. For a moment there I thought I'd be stuck with a small sponge. The size isn't the only thing that improved, the time it takes to apply my BB Cream was cut to half because the product was evened out with just a few simple dabs. The shape may look ordinary but wait until you use the tapered edge along the sides of your nose or under your eyes and you'll be reaching out for this every single time. I use the wider base and the sides on larger areas of my face like my forehead and cheeks. You can directly dispense your chosen makeup on the Beauty Blender but I prefer using my fingers to apply the product on my skin followed by the sponge for blending. 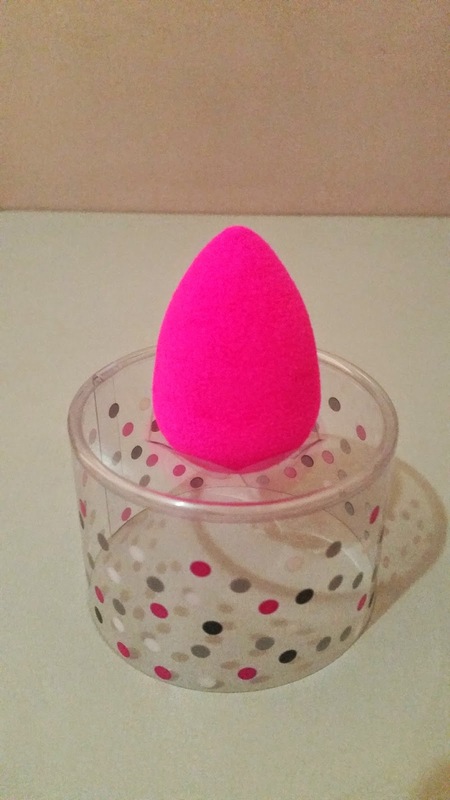 Overall, I love the Beauty Blender because it enables anyone to effortlessly create a flawless finish with just a fraction of time it usually takes to apply makeup. Most importantly, I recommend you use this damp otherwise you won't experience its full potential. It's a really nice tool to have especially if you use high coverage foundation but if you're like me who rarely does and are fond of BB Creams or tinted moisturizers, I believe you're not missing out on much and can actually manage without it. 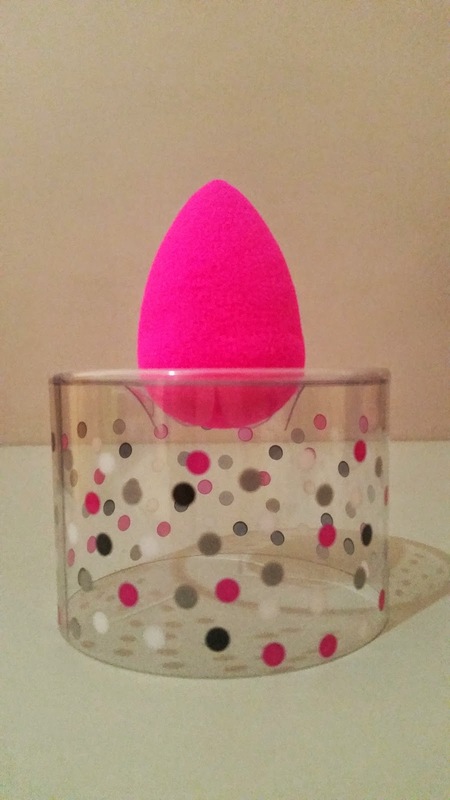 So what do you think about the Beauty Blender? Let me know on the comments section below. Thank you for reading my post and have a wonderful day!